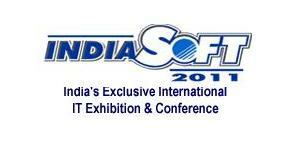 Business Automation Ltd. is participating IndiaSoft 2011 | Business Automation Ltd. The 11th edition of IndiaSoft will be held from March 25 to 26 in Pune, Maharashtra, India organized by Electronics and Computer Software Export Promotion Council (ESC). The exposition will have 150 Indian IT companies catering a host of solutions with value additions, three-dimensional growth in skills, technology and expertise and around 350 IT buyers from plus 75 countries converging for business networking. Business Automation Ltd. is participating in the event as part of Bangladeshi software delegation team.